Bridge Connection One Students at TPC Sawgrass. 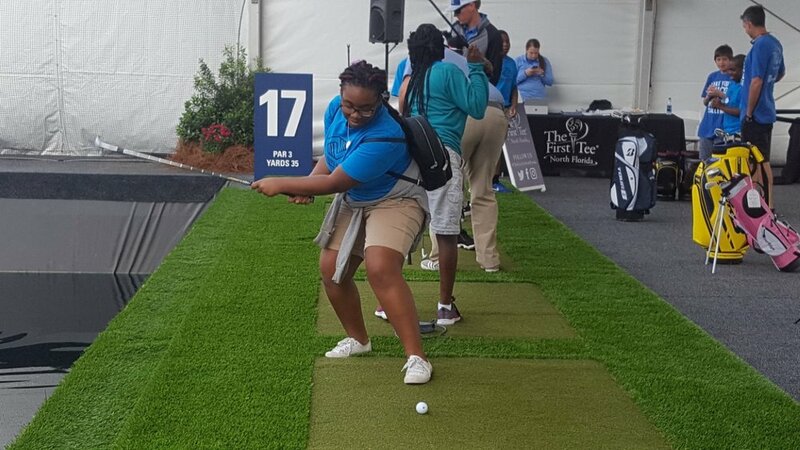 Our Bridge Connection One students brushed up on their golf swing on Tuesday morning as they visited TPC Sawgrass in Ponte Vedra for “The First Tee Experience.” The sports program empowers the lives of young people through the game of golf. 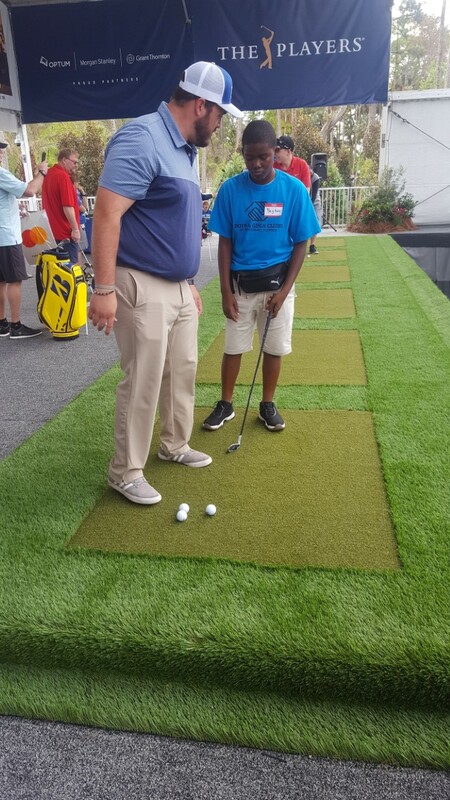 Through the program, our students had the opportunity to tour TPC facilities, visit the iconic course’s holes and play a round of mini-golf. Students where then put to the test at the “Challenge Hole,” a virtual golf simulator which challenges golfers to land one of three swings across a lake and on the green. 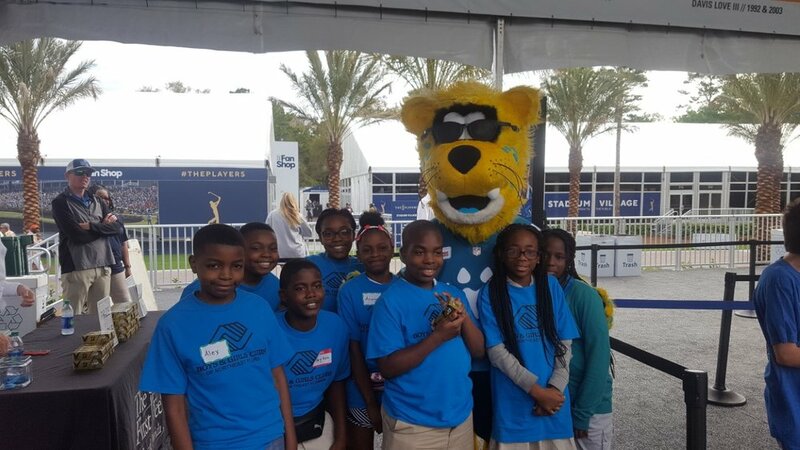 We’re thankful to THE PLAYERS Championship and The First Tee for providing our members with this wonderful experience! 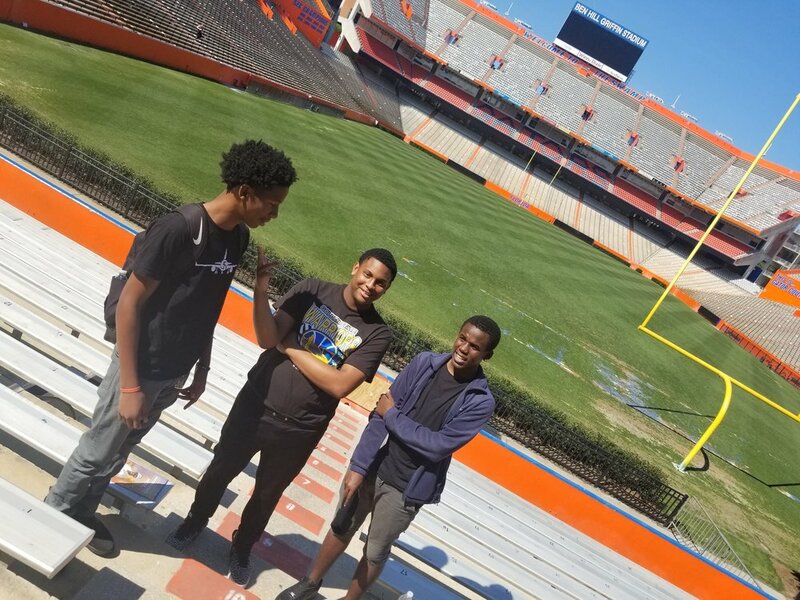 Our Club members are one step closer to going to getting into college after members from our NFL YET Club, Tipping The Scales and Job Readiness programs visited University of Florida and University of North Florida during spring break. 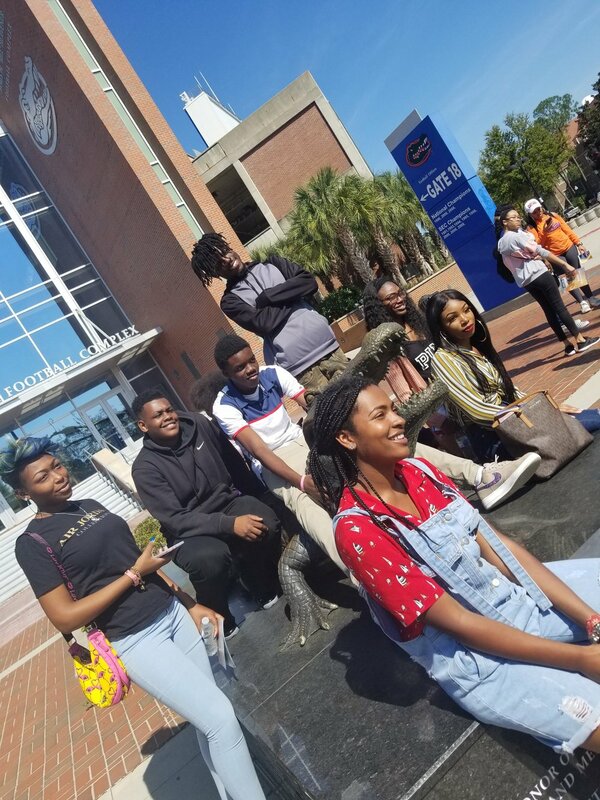 Students toured the campuses, talked with several students, councilors and staff to gain a better understanding of the steps they need to take to get into the college of their choice. After the college tours, students enjoyed a fun day at Dave & Busters. 3,2,1, Action! Bridge Connection One is Live in The Newsroom! 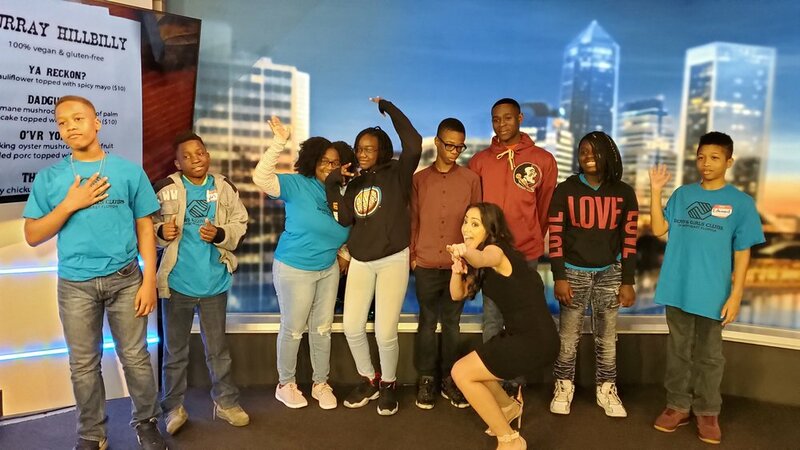 On Wednesday, Bridge Connection One students visited WTLV – NBC 12 / WJXX – ABC 25 studios, for an exclusive, behind-the-scenes look at the process behind getting your favorite shows on the air! 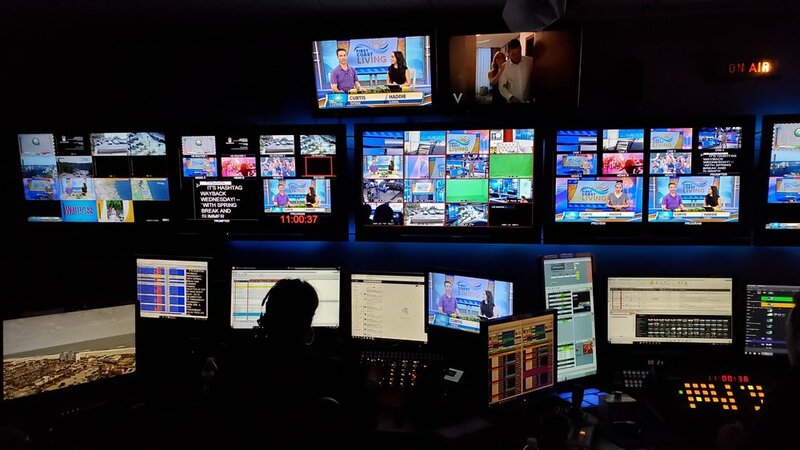 Students toured the studio, visiting the news room, the studio’s set, various control hubs and even met the station’s director, producers, control room operators, stage directors and TV personalities. Our members also sat in a live recording of First Coast Living and met the show’s hosts, Haddie Djemal and Curtis Dvorak. Our students also received practical advice on how to pursue a career in broadcast. Boys & Girls Club members getting ready to kayak on lake deep pond. 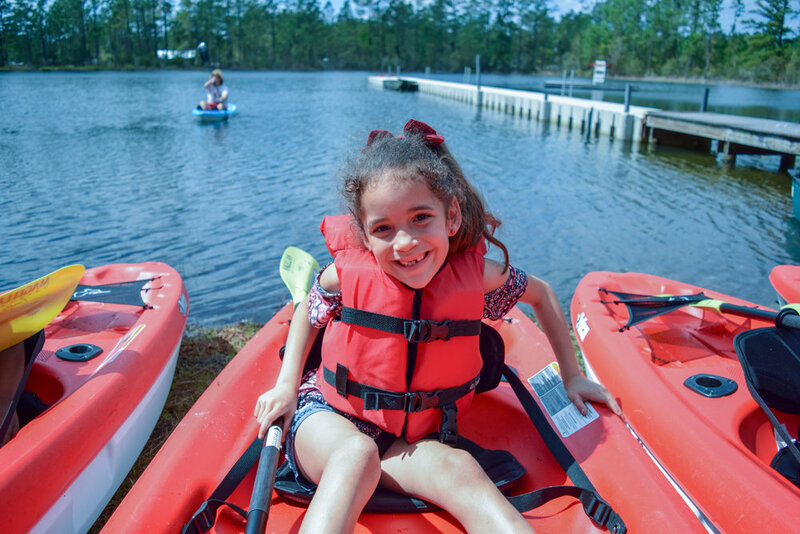 No spring break experience would be complete without a visit to Camp Deep Pond, our 62-acre camp and recreational site in Hilliard which is home to a beautiful 12-acre lake, “Deep Pond”. 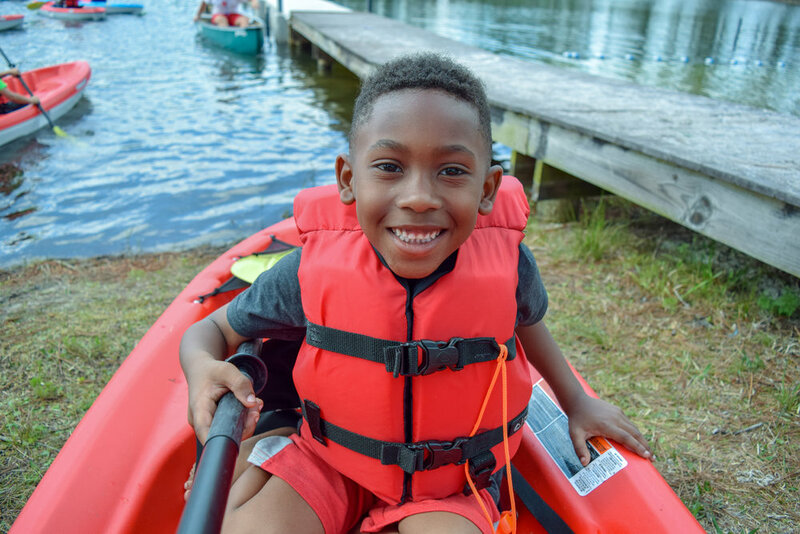 Our Club members enjoyed a real, outdoor camp experience as they engaged in various activities including swimming, fishing and kayaking. 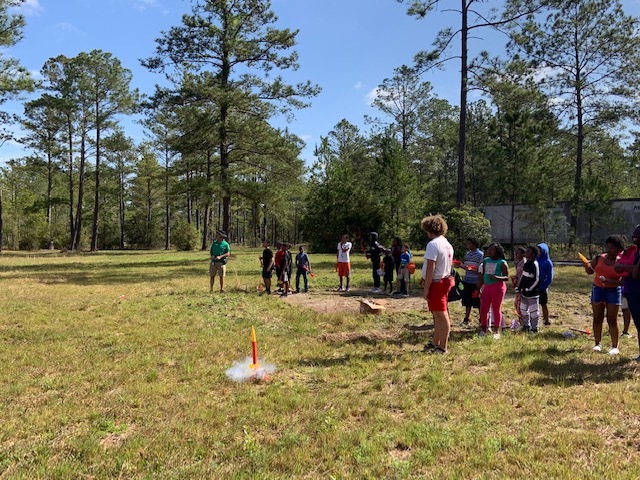 On land, students practiced archery, roasted marshmallows around the camp fire, fired rockets and worked on art, road on bicycles and played GaGa ball. Camp Deep Pond encourages students to explore a new world of opportunities. If you missed our spring break fun, don’t worry! Enroll in Boys & Girls Clubs of Northeast Florida summer programs! Summer Sail begins, June 10th and runs for seven-weeks. This fun program emphasizes academics through a summer theme. Students then deepen their understanding of the overall theme through weekly sub-themes. Programs begin at 8a.m. and run until 5p.m. Students enjoy food, assemblies, group activities, and weekly field trips. This is a program you won’t want to miss.